Russian President Vladimir Putin (R) with Defence Minister Sergei Shoigu (C) attend a meeting on Russian air force's activity in Syria at the national defense control center in Moscow, Russia, November 17, 2015. Since the start of the strike against IS many weapons have been used. This time Russia Says it used submarine-launched missile for first time. Russian Defence Minister Sergei Shoigu said on Tuesday that Russia had for the first time struck Islamic State targets in Syria with missiles fired from a submarine in the Mediterranean. “The targets were two large terrorist positions in the territory of Raqqa,” Shoigu told President Vladimir Putin in a televised meeting, adding that the Calibre missiles had been fired from the submarine Rostov-on-Don. Shoigu said Russia had informed Israel and the United States in advance of its plan to launch missiles from a submarine. He said that, over the previous three days, Russia’s air force had flown more than 300 sorties over Syria and struck more than 600 targets of various types. Russian bombers flying over Syria were being accompanied by fighter jets, as Putin had ordered, he added. Russia began intervening directly in Syria’s civil war at the end of September with air strikes in support of its ally, President Bashar al-Assad. 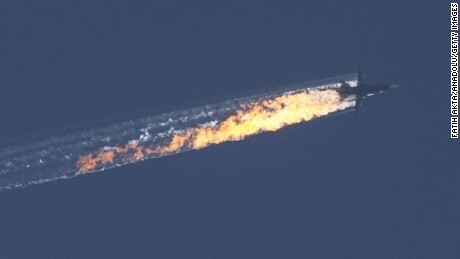 But the intervention has had unintended consequences, notably when Turkey shot down a Russian fighter jet that it said had strayed into Turkish airspace, an allegation that Russia denies. Shoigu presented the flight recorder of the downed jet to Putin at the meeting. Putin thanked Russian special services and Syrian government troops for recovering it, and said it would allow experts to determine where exactly the Russian plane was located when it was hit. He said it should be opened only in the presence of international experts, “to carefully document everything”.